By Adam O’Neal – Last month, as the Senate was busy negotiating the final details of its Ukraine aid package, Majority Leader Harry Reid became temporarily distracted with a campaign finance issue. Since winning re-election in 2010, Reid’s campaign had purchased gifts for supporters and donors from vendors like Bed Bath & Beyond, Amazon, Nordstrom, and the Senate gift shop, among others. But one round of spending was directed to a less recognizable firm: Ryan Elisabeth, a jewelry line. In 2012 and 2013, the campaign spent $31,267 purchasing gifts from the company, which is owned by Reid’s granddaughter, Ryan Elisabeth Reid. All told, she took in nearly seven times more cash than all vendors of donor gifts combined during that period of time. 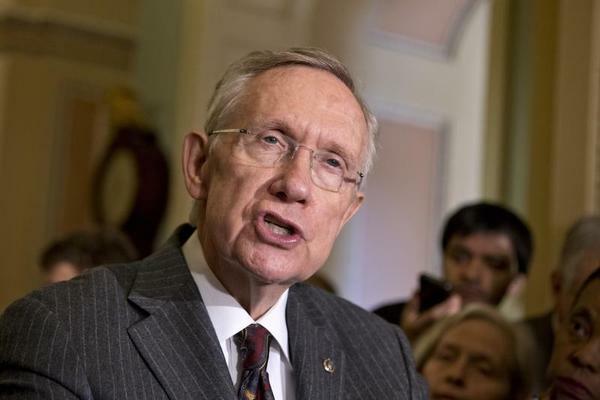 This was not the first time that Reid had mixed family and politics — or potentially run afoul of ethics rules.